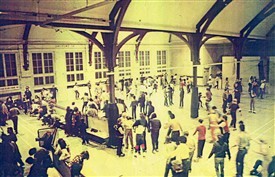 During the 1980s much of the CGCA’s activity related to housing. But the bigger development battles were not over. 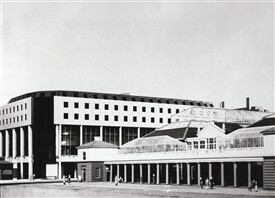 New campaigns included saving the Jubilee Hall building after plans were made to replace it with a massive new office block in 1979. 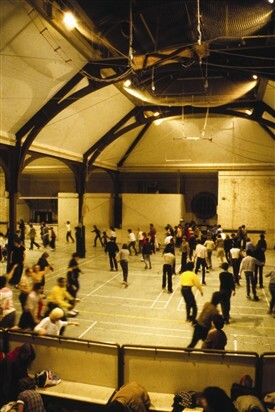 The Central London Youth project was instrumental in the upper floor being retained for sport. And ‘the father of the market’, Ray Greene, innovatively raised £3 million through the sale of leases for pitch days, which secured the lower floors as a market. 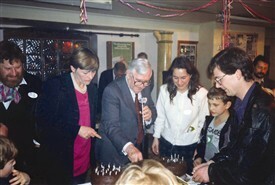 It was eventually opened by the Queen in 1987. 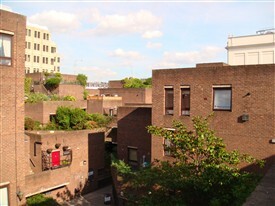 Part of the Jubilee Hall deal was the building of Driscoll House flats, named in memory of Sam, a local hero of the battle of the 1970’s. This site had been the garden of Bedford House in the 16th century, but it was only during these excavations in 1985 that the first Saxon remains were found in Covent Garden. 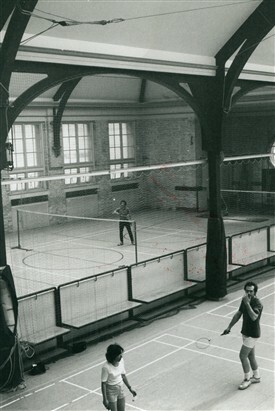 When the GLC was dismantled in 1986 its housing reverted to the local authorities. 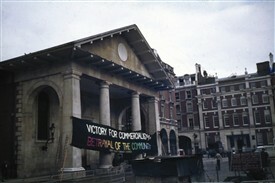 Local people were unable to prevent the profitable sale of the rest of its property in Covent Garden. But they did enable the establishment of the Covent Garden Area Trust to protect the market and key buildings nearby, under a 150 year head lease that sublets the land back to the freeholder. The properties around the north eastern corner of the Piazza were gifted to the Royal Opera House via the Arts Council, and these became the subject of another challenge to redevelopment from CGCA nearly 10 years later. Looking back on the fierce battles of the 1970s, the community won many victories. Local people got their housing, and CGCA gained worldwide support to save the area. But in the prosperity that followed, many of the affordable services that a working class community really needs did not materialise. 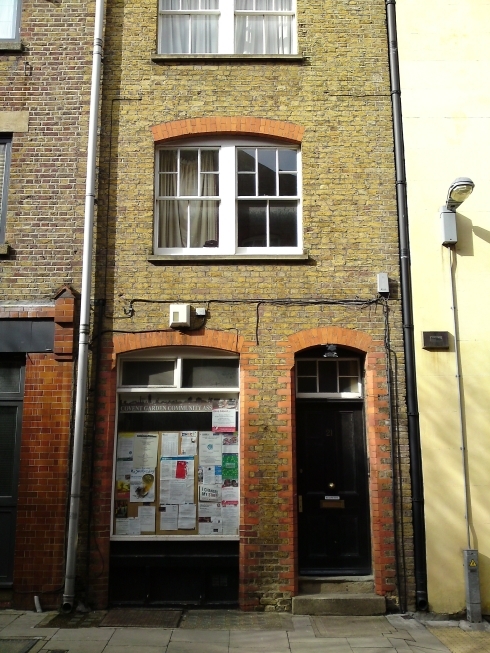 As more private housing was developed, Covent Garden became a thriving mix of people. By 1986 the population was 5,000. New residents moved in, alongside those whose families had been here for generations and had fought to stay. At the core of today’s community are thousands of people who want to stay for the long term, many of whom bring up their families here. Competing interests over land may not have not changed since the 17th century. But communities have a voice that our forebears did not, in part thanks to the determination of people who lived here in the 1970s. 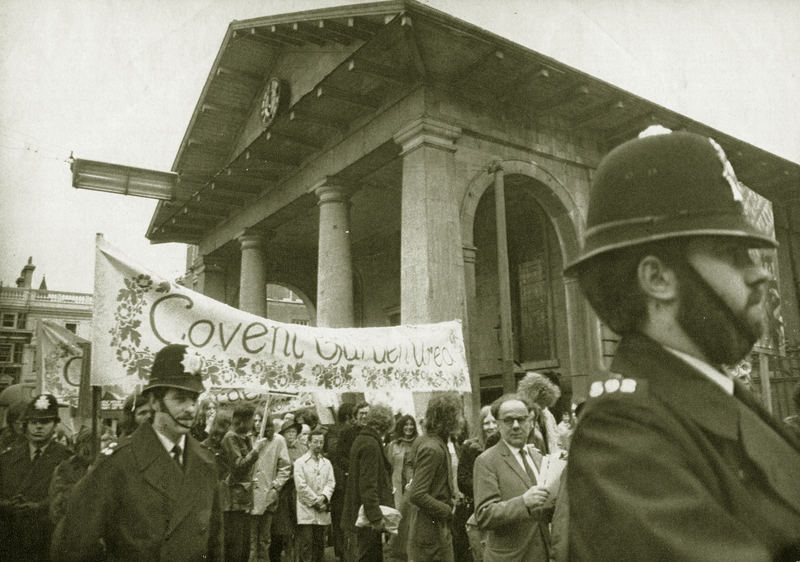 Our community will continue to make its voice heard because we love Covent Garden, and we think that it’s worth fighting for. 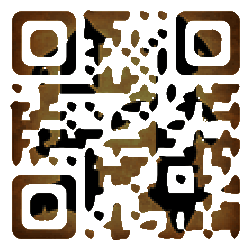 This page was added by Jaimie Flaherty on 09/10/2013.